On July 20th, we featured an interview with Heather Munn about her WW II novel, How Huge the Night. In honor of the 69th anniversary of the Nazi surrender of Paris to the Allied Forces on August 25th, I thought it would be a good time to recommend some books about World War II Europe. Although I have not had the privilege of reading Munn’s book, I have recently read two other WWII novels for young people by Annie Laura Smith. Both books provided me with new and interesting historical information about the European side of this terrible war. The Legacy of Bletchley Park takes place in England during the bombing of London. The main character, a 12-year-old girl, evacuates to a small town in the country and discovers mysterious goings-on at a nearby estate that soon involve her directly. Meanwhile, she has to hide her German heritage, lest others think her a spy. I think children ages 8 to 11 will find the story intriguing and fun, even though I found it a little thin on characterization and plot. 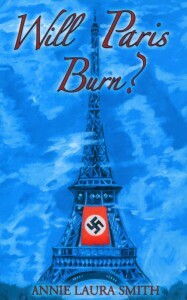 Will Paris Burn? offers a bit more excitement than Bletchley Park, and I think 8-to-12-year-olds will enjoy it. 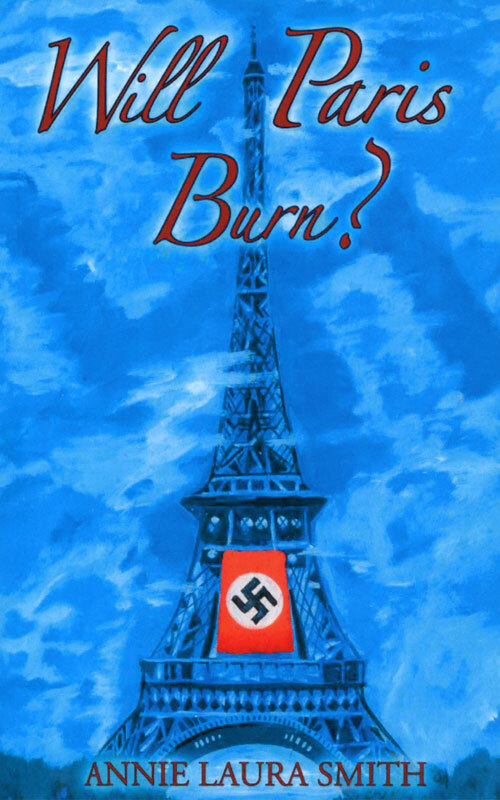 The protagonist is a 16-year-old boy who works for the French underground and tries to help defeat the Nazis, protect those he loves, and save Paris from the general Hitler sent to destroy the city. He struggles with hate for the Nazis, who killed his mother and brother. Although he becomes more forgiving by the end of the story, his motivation wasn’t convincing to me. Disappointingly, the author used a form of “mild” blasphemy twice in the book. Although both French and English speakers use the phrase, mon Dieu (“my God” in English) flippantly, God’s name should never be used in anything but a prayerful or respectful way. I’m saddened that children will learn from this book to use the phrase in a disrespectful manner. I urge parents to caution their children to use mon Dieu and “my God” only in prayer. Other than the uses of that phrase, I recommend the book. While I am discussing European WW II stories, the ones I remember best and loved the most when I was 12 were Escape from Warsaw by Ian Seraillier, sadly now out of print, and The Man Who Never Was by Ewen Montagu. My daughter’s favorites included Seraillier’s Escape from Warsaw, Number the Stars by Lois Lowry, Snow Treasure by Marie McSwigan, The Endless Steppe by Esther Hautzig, and I Am David (or North to Freedom) by Anne Holm. For adults and teens, The Hiding Place by Corrie Ten Boom is one of the best WW II books of all. In nonfiction, I highly recommend Hitler’s Cross: The Revealing Story of How the Cross of Christ was Used as a Symbol of the Nazi Agenda by Erwin W. Lutzer. We need to recall how a madman used mass brainwashing and deception and played on people’s prejudices, envy, and pride to destroy so much of Europe. We must teach our children and grandchildren the truth about what happened during World War II. Good juvenile fiction invites them to “walk in the shoes” of those who experienced that time. It can even inspire them to greater perseverance and strength of character through example. As we read about what it was like for people in war-torn Europe to lose their freedom and/or lives for a lie, we would do well to remember that “the only thing necessary for the triumph of evil is that good men do nothing.” May God help us to rest in His wisdom and strength and never walk that way again.